Knowle West Media Centre (KWMC) is an arts organisation and charity, supporting people to make positive changes in their lives and communities. 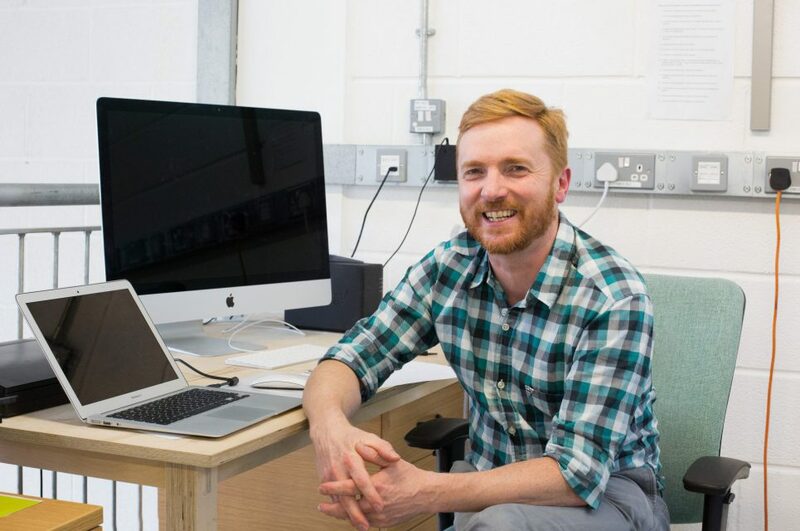 We spoke to Tom about KWMC’s work at The Factory, a making and training space they set up at Filwood Green Business Park. Our role here is varied. We’re split between commercial work, charity support and running workshops. 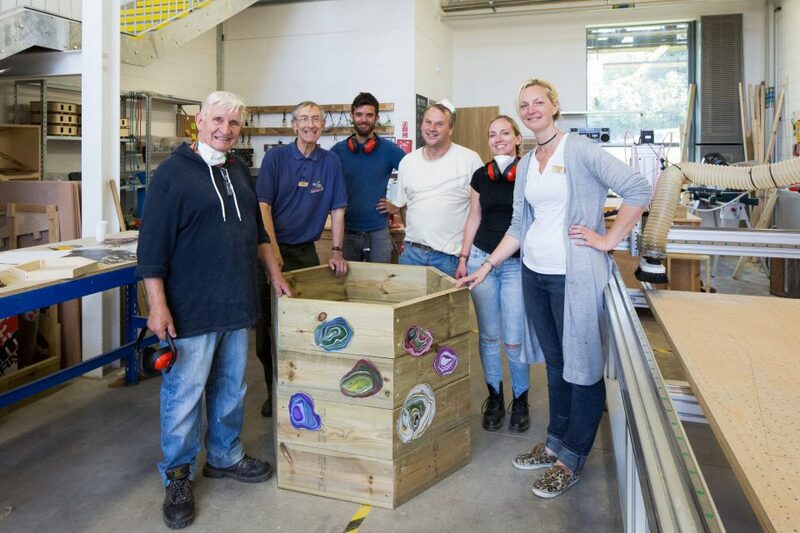 We started out making the furniture for the building which gave us the opportunity to work with the council to expand their arts budget and support local people. We took on three locals as paid employees, two carpenters and a host of volunteers. We worked in partnership with Rework, a charity supporting young people, and we couldn’t have done it without them. The project was all about providing employment and skills and getting people involved with Filwood, rather than just letting them see a business park move onto the edge of their neighbourhood and having no connection to it. So what attracted you to stay here? It made sense. It ticked all of the boxes in terms of space and we were already well connected to it. We initially took one unit and have now expanded into two. It’s provided us with credibility by having a proper workshop and now we’ve got the space to grow. The amount of natural light is amazing and it’s really well insulated. Everyone comes in and says ‘wow this space is really awesome’ which is great to hear. Going from a temporary project to somewhere we can call home is fantastic. Do you see much of your neighbours? Yes, we’ve done work with quite a few of the tenants. People often come in and say ‘Oh you’re the furniture guys, can you help us with this?’ and we take a look. We’ve worked with Jody from Digital Fire on an exhibition for @Bristol. They wanted some lockers to look old and distressed but still able to function. We asked Jody what effect he could come up with and he made some really cool artwork. These kinds of conversations happen a lot. For instance, we needed a bin, so we went over to Will at Green Warehouse to ask for one. Turns out he needed some card cutting out for a prototype so we were happy to let him use our laser. It’s such a friendly atmosphere, we all help each other out when we can. Do you feel KWMC has developed at Filwood? Working closely with other people fits into our history as a business; we’re all about community. "I never thought I'd be making an entire department’s furniture for my first gig, it almost killed me."